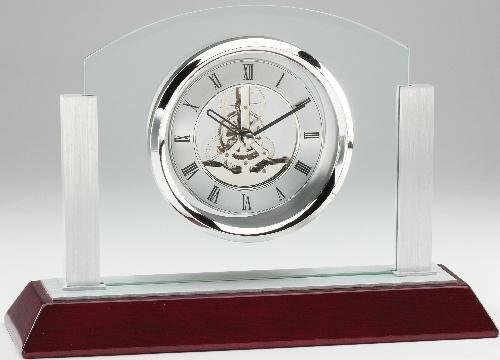 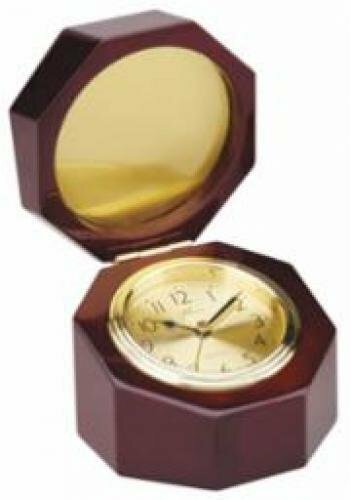 The Octagon Rosewood Box with Clock has a high gloss piano finish and features a 3.75” Gold Face Quartz clock. 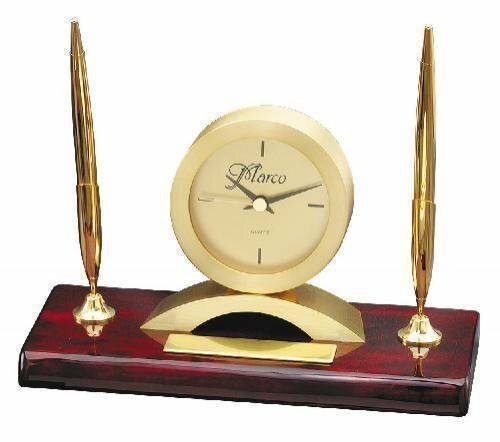 This pen set has an elegant brass plated analog clock on a Rosewood Piano finish base with two matching brass finish pens. 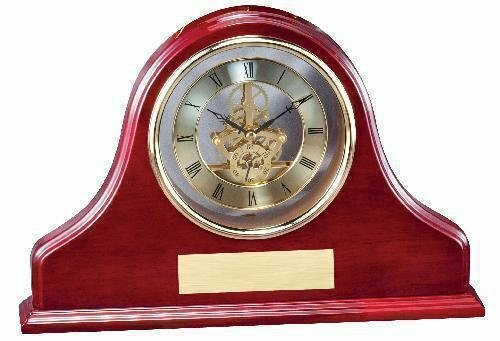 The Rosewood Circular Clock has an elegant Rosewood Piano finish analog clock mounted on a brass finish base. 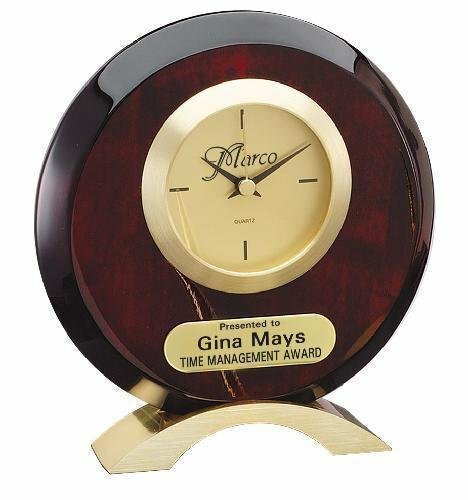 A gold tone plate with black lettering is also included. 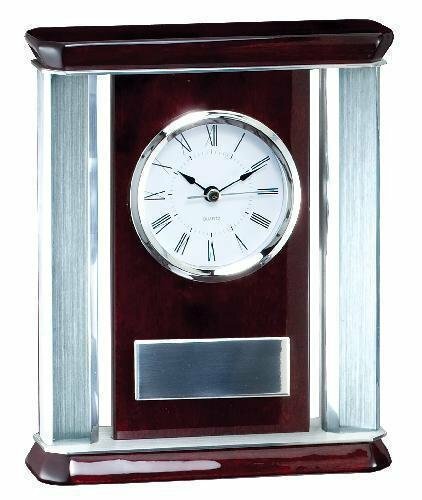 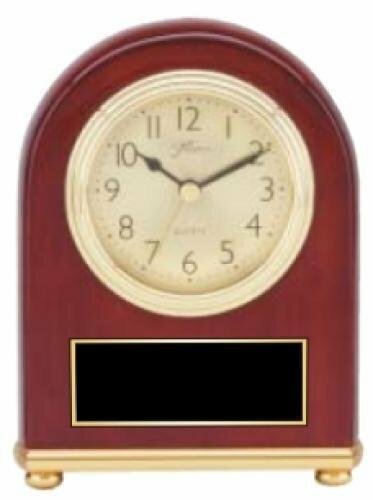 This Rosewood Clock is an elegant Rosewood Piano finish clock with aluminum accents. 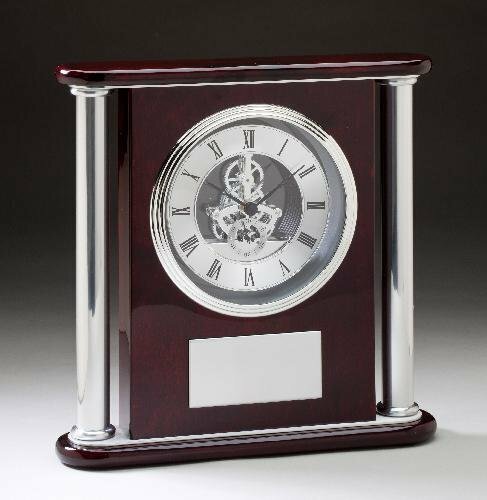 A silver tone plate with black lettering is also included. 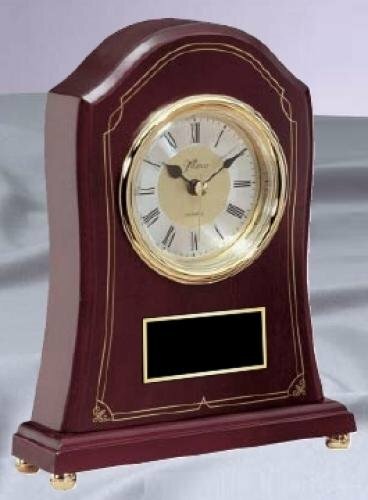 This Rosewood clock is a precision quartz, elegant Rosewood Clock with metal skeleton movement. 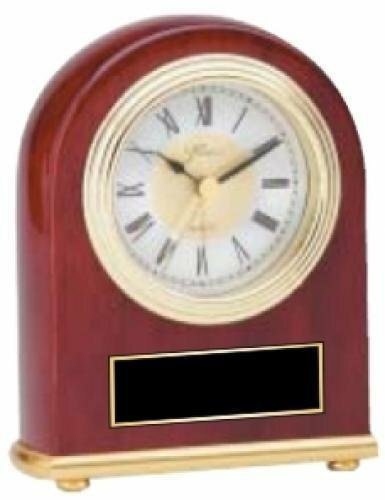 A gold tone plate with black lettering is also included.